Below are in-game screenshots of certain vehicles. All these vehicles were released in several MM2 websites, but nowadays few of them remain online. You can download all vehicles at the bottom of this page. The above vehicles are: Marcopolo Viale (top ones, a model from the main brazilian bus manufacturer), Mercedes-Benz Travego, and another Marcopolo Viale with opaque windows. 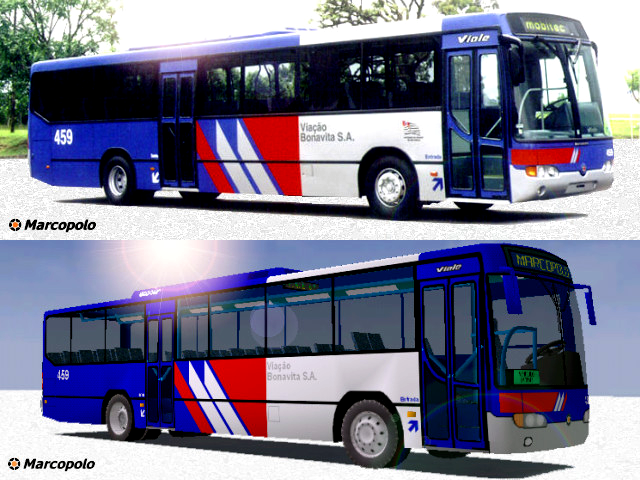 Below you can see a comparison of the real brazilian bus with the recreated one for MM2 using Zmodeler. The Marcopolo Viale bus was also converted and improved with much more detail and custom handling for the popular game Grand Theft Auto. You can see screenshots of that conversion here. 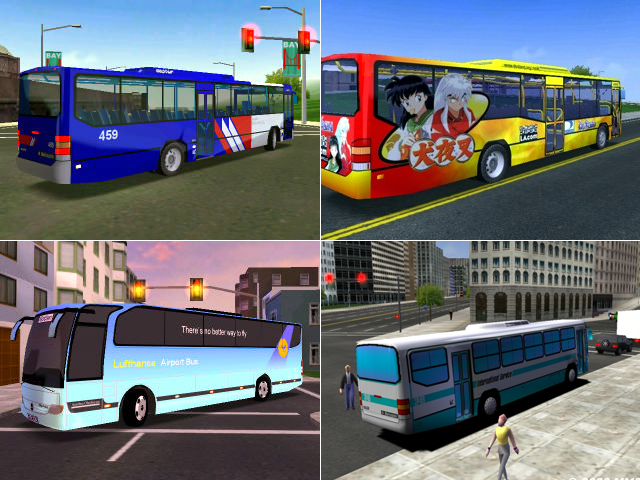 On this flick gallery you can find a great deal of other world-class brazilian bus models for both MM2 and GTA with incredibly detailed design.